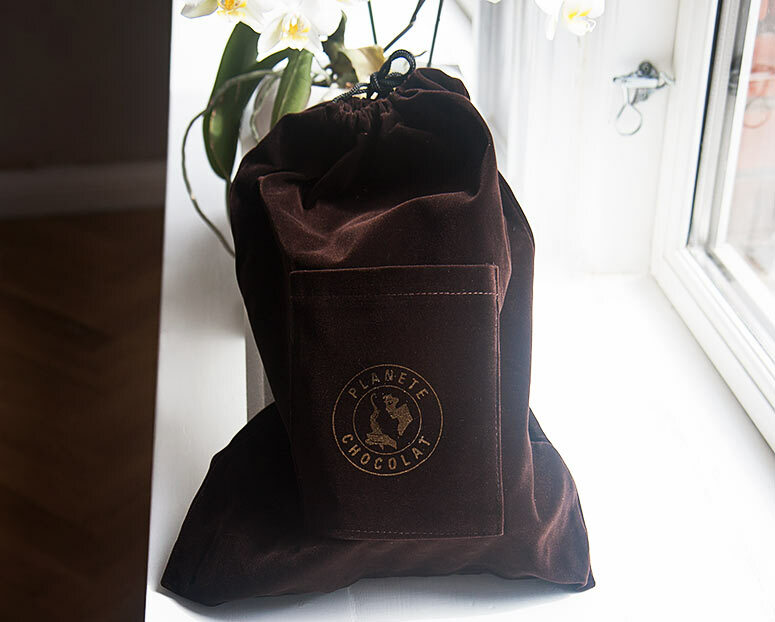 When Planète Chocolat asked if I’d like to review some of their made in the heart of Brussels chocolate via their worldwide Belgian chocolate delivery service, of course I said yes! 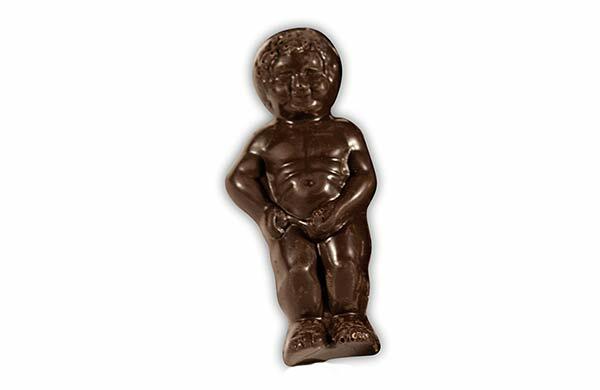 Really, who’s going to turn down a gift of Belgian chocolate? In exchange for my Planète Chocolat review, they invited me to order anything I wanted from their website specializing in quick chocolate delivery worldwide. Deciding what to choose was quite a dilemma, coming down to the Lover Collection of chocolate bars, which includes wonderful flavors like lavender, thyme, and ginger; the Mixed Brazilian Tuiles, which feature an assortment of white, dark, and milk chocolate with roasted hazelnuts and caramelized sugar; and a customized box of pralines. I went with the pralines and while I seriously wanted to try one of each, I didn’t want to be greedy so I kept it to a modest 500 g. I chose an assortment of white, milk, and mostly dark chocolate (my favorite) pralines ranging from well-known varieties like strawberry, orange, and hazelnut ganaches to more exotic varieties like lily of the valley, pine nut, and Monbazillac wine ganaches. Place your order by 2:00 p.m. local Brussels time (GMT+1) and Planète Chocolat’s worldwide chocolate delivery service will ship your order the same day, with free overnight delivery to Denmark and many other countries. For countries not in the free delivery zone, Planète Chocolat’s chocolate delivery service ships for a reasonable price and can have a box of Belgian chocolates delivered straight from Brussels to anywhere in the US within 48 hours… and to NYC in just 24 hours (check the website for shipping times to other locations)! I ordered my chocolates during what’s been the hottest week of Danish summer so far and I was seriously impressed when they showed up the next day packed in an insulated container with cooling packs! 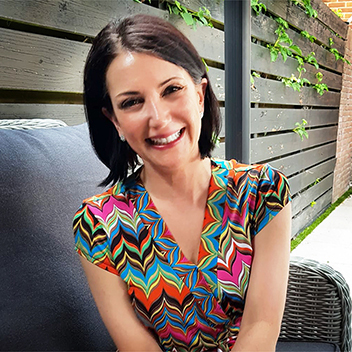 Florists are notoriously shady, so Robert and I find it frustrating to organize gifts for occasions back home like birthdays and Mother’s Day, and we’re often in the market for after-the-fact “thank you” gifts for people who’ve hosted us when we’re abroad. 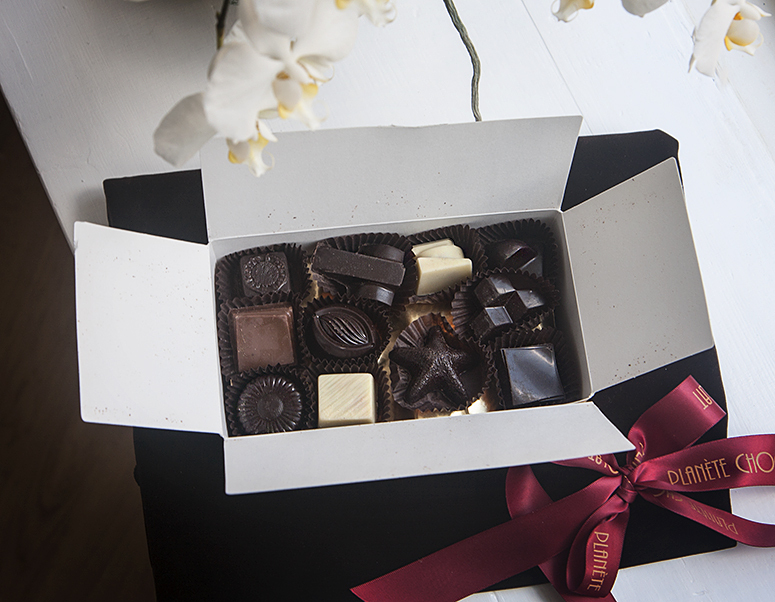 Planète Chocolat’s chocolate delivery service is our new go-to for these situations! The presentation was wonderful with the chocolates arriving in this sumptuous velvet bag! 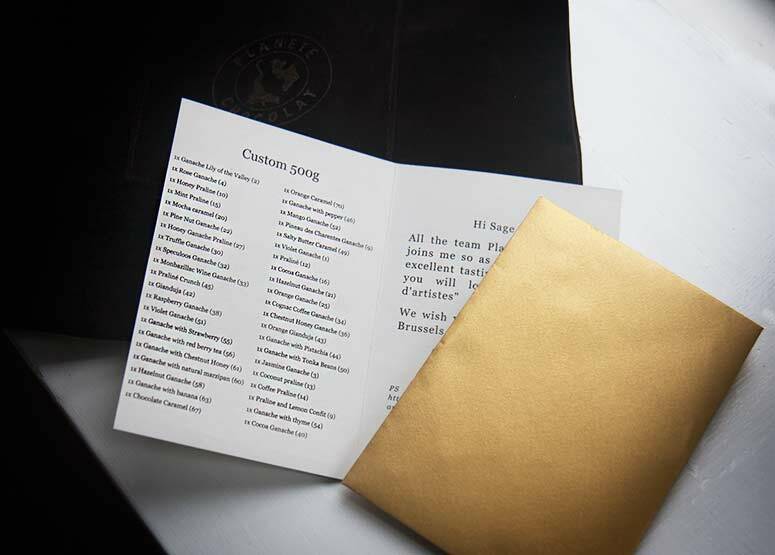 It also contained a personalized note with a list of all the varieties of pralines that were included in the box… which was super helpful considering there were 42 different types! The heavenly scent of the cocoa punctuated with hints of the different fillings made it difficult not to sample to goods before I’d had a chance to photograph them! I can only imagine what the Planète Chocolat shop smells like, and we fully intend to find out next time we’re in Brussels :) Planète Chocolat also offers a chocolate making workshop where their master chocolatiers teach you how to make your own chocolates… we’d love to give that a try! Robert and I chose the assortment together over coffee one Saturday morning. I went with unusual flavors like the violet, rose, jasmine, tonka bean, and pepper ganaches. Robert went with more traditional choices like the truffle, cocoa, raspberry, marzipan… and being English, the red berry tea ganaches. We also chose a number of caramels, which included mocha, chocolate, orange, and salty butter varieties. 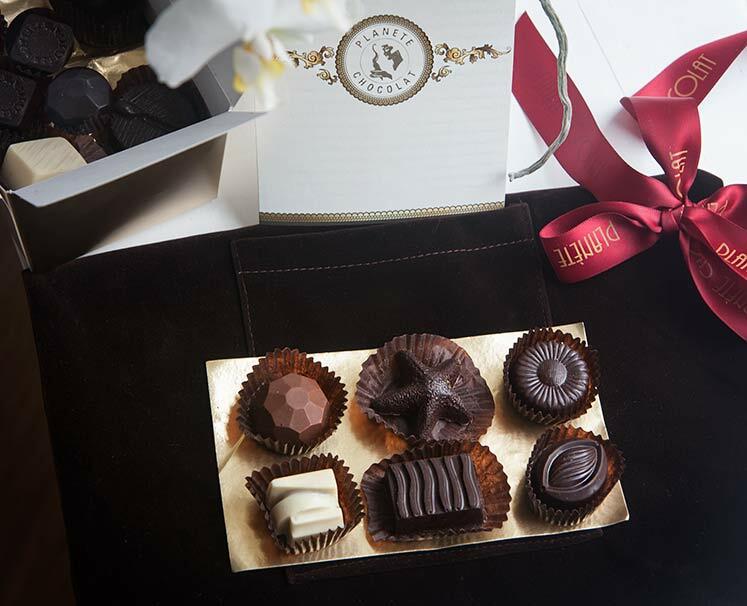 There were four layers of pralines in the box… they tasted as good as they look and we loved every single one! The standouts for me were the violet and jasmine ganaches, honey praline, and salty caramel. Robert especially liked the white chocolate with coconut praline, the coffee praline, and the truffle and mango ganaches. 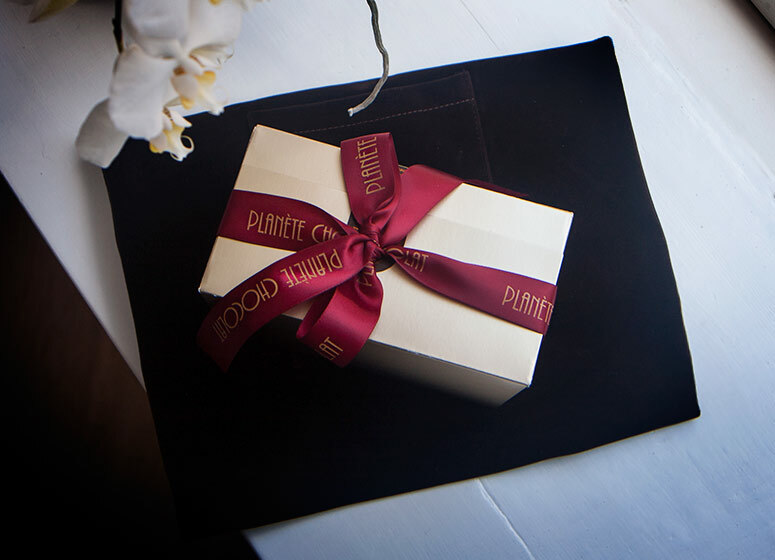 It’s safe to say that we’ll be ordering from Planète Chocolat again, taking advantage of their Belgian chocolate delivery service both for ourselves and as gifts. I’ve eaten (and gifted) quite a bit of Godiva chocolate in my life, but I prefer Planète Chocolat’s product, which is actually quicker and less expensive than Godiva’s chocolate delivery service and offers a broader range of choices. Because I live in Europe, people back home expect fabulous and unfamiliar things from me, so well-known brands like Godiva don’t cut it. Disclosure: I received a box of chocolates from Planète Chocolat in exchange for an honest review. I didn’t receive any compensation for this post and all opinions are my own. I would definitely like to eat one of these, they look delicious! Good luck with eating just one ; -) I’m embarrassed to say how many we ate the first day! Great review. Can’t wait to try some! Oh gosh, those look simply delightful and sinful but something I need in my life. What a great way to send a little love and chocolate to someone you care about. I’ll remember this chocolate delivery option. Yum!! Count me in too, I would love to try this company, their candy looks delicious!! I love their presentation, very elegant! Chocolate is one of my all time favorite sweets and those pralines look delicious! I agree that chocolate is a much better gift to receive than flowers. These look especially tasty! Their presentation truly is gorgeous! I’d be interested in the Tonka Bean and Pepper Ganaches myself. I looked through their collection and am eyeballing their Macaron of the Month, Chocolate Truffles, as well as the Pralines. Oo isnt this fancy. A chocolate delivery service is right up my alley! I am PMSing a bit and I had to go to the store and stock up but if I can get it delivered monthly it would be much better! I’ve never heard of Planète Chocolate before. I checked out their website and I have to say they have some amazing products. I am loving their soaps. I am very curious as to how they smell and feel. The chocolates you show above look amazing. Caramel is all me though. It’s my favorite when it’s paired with milk chocolate. I have to agree about the presentation. It’s wonderful! Personally I’ve never swooned over Godiva, but I do appreciate good chocolate with a glass of wine. Receiving these goodies would make for the best mail day. Lavender sounds like it would be quite lovely paired with chocolate and good choice on the pralines! I wouldn’t be as modest – I would go straight for the kilo. Hello, a kilo is twice as good as a half a kilo. But seriously this is the dream come true. Yes, I would enjoy it very much and no, I wouldn’t share it with my children. They have no appreciation for good chocolate. My husband and I are both suckers for chocolate! Those pralines look and sound amazing! Now my mouth’s totally watered! LOL! The presentation here is definitely a big deal. You just know you’re getting quality stuff. OMG! I lived for 2 years in Belgium before and I LOVE the chocolates there. Now that I’m someplace else in the world, this is a delivery service I’d love to have. Thanks for sharing this! My kind of company! I can just see myself in my bedroom with my pillow enjoying a few of these chocolates! I love the packaging, so elegant and of course I’m sure the chocolate is rich and delicious. How cool to have them delivered!